St. Hildegard of Bingen (1098-1179) was one of the foremost herbal authorities of her day. She was well advanced on botanical cancer treatments, galangal was so highly revered by her that she actually wrote that it had been given by God to provide protection against illness. “The spice of life,” as she called galangal, appears in many Hildegard formulas. 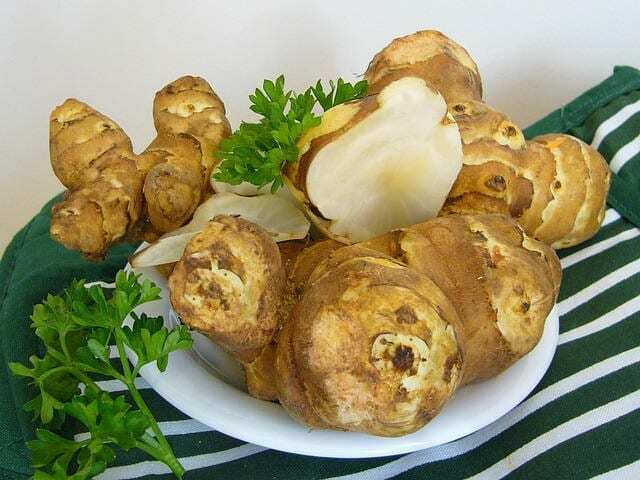 Galangal minor, Alpina officinarum Hance, is botanically closely related to ginger. On his trips Marco Polo described plantations of galangal in the province Kachanfu and by Tonkin. Originally galangal grew in Southern China and Thailand. But today it is found in all of Indonesia, Australia, Japan, East India and even in Central America on the Antilles Islands. The branching roots are robust and spread in all directions creating many stems. The stems with their white fragrant blossoms grow 60 to 150 cm. high. In the 16th century Dr. Mattioli wrote: „Galangal freshens the breath, supports digestion and rids the body of unpleasant gas." This indication has been reinforced by modern science and led to its acceptance and official approval as a medicine. Similar results were discovered by Paracelsus. The abbess Hildegard of Bingen described galangal as a heart medicine: "Whoever has pain in the heart area or is suffering weakness due to the heart, should immediately eat enough galangal and he will recover." As in other cases Hildegard's indication is completely different from the medical knowledge of her time, which proves that she did not compile the medical knowledge from the cloisters of her era into her works. The galangal root contains essential oil and resin that cause the hot-bitter taste. Galangal is also rich in bioflavonoids, which are only found in genuine galangal with its characteristic sharp biting taste. Galangal oil (Oleum Galangae) is distilled from the dry powdered root. It is a yellow liquid with a eucalyptus-cardamon-ginger smell. The dried root contains .5 - 1.5% essential oil which has 81 various constituents all of which have been identified by gas chromatograph techniques. Besides oil 6 other sharp ingredients have been isolated and identified. Shortly before Dr. Michael DeBakey's 100th birthday he wanted to hold a symposium in Houston with his fellow doctors to introduce them to Hildegard medicine. He himself had experienced the healing of a chest wound, which had been infected for almost 2 years with hospital bacteria. By applying a yarrow compress several times a day, as Hildegard described, and in addition drinking yarrow tea daily the wound finally healed and closed over. Through a spelt diet he was also cured of a life-threatening diarrhea. In addition he had found that galangal made his heart strong. The abbess Hildegard of Bingen described galangal as a spice good for the heart, a spice that can even prevent a heart attack: „Whoever has pain in the heart area or is suffering weakness because of the heart, should immediately eat enough galangal and he will recover." According to Dr. DeBakey, 70% of all heart attack patients die in the first few hours after a massive myocardiac infarction. Unfortunately few people know that galangal can help immediately and often prevent death. Saute onions and celery in oil until glassy. Add zucchini, if desired, and fry further until slightly brown. Add rest of ingredients and simmer together on low heat for 20 minutes. Serve over spelt spaghetti with Parmesan cheese. May be added to aloe juice to reduce its harsh laxative effect. Galangal water (Galangal in raspberry water) for Winter ails. 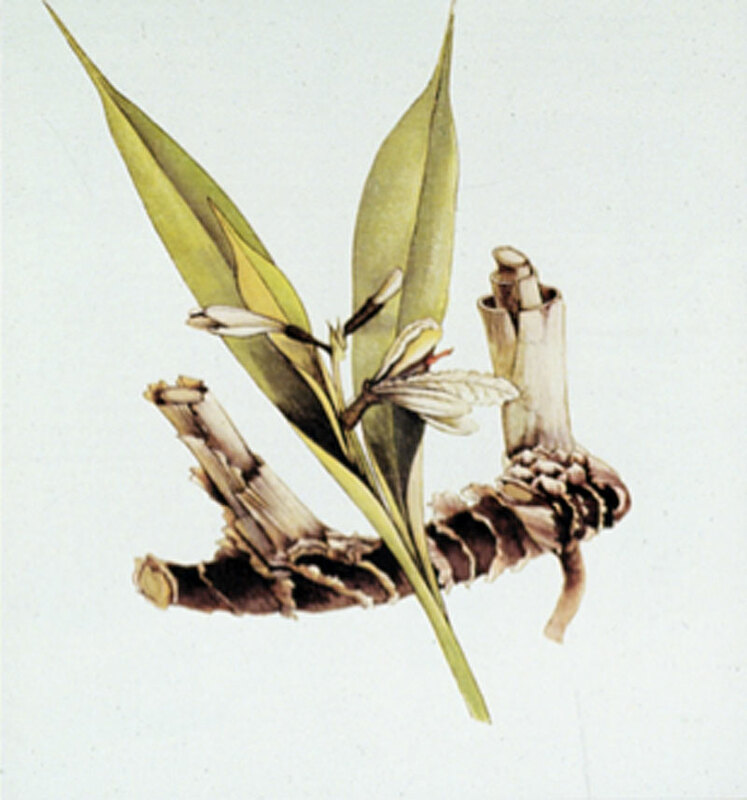 As a brief primer, we’ll answer the question, what is Galangal (Alpina officinarum) after all? It originates from the family of ginger plants from Malaysia and like its well-known relative, it has a spicy flavor and warming effect on the body. In fact, Galangal is used mainly in cardiovascular conditions in Hildegard medicine, but is also ideal for colds due to its warmth and spice. Galangal water is a refreshing way to keep your warmth and energy up during the cold season. It is simple to prepare. Just dissolve 1-2 Galangal tablets or 1-3 TSP of Galangal powder in a glass of raspberry water (made with real, not artificial, raspberry syrup, of course) and add a drizzle of lemon juice. Take this daily as a wonderful measure to increase your physical defenses in the autumn and winter. If you already suffer from flu-like infection and you are beginning the process of convalescence, this is an ideal drink to combat your fever, along with fennel tea. Healthy Hildegard wishes you a wonderful and healthy Christmas Season.